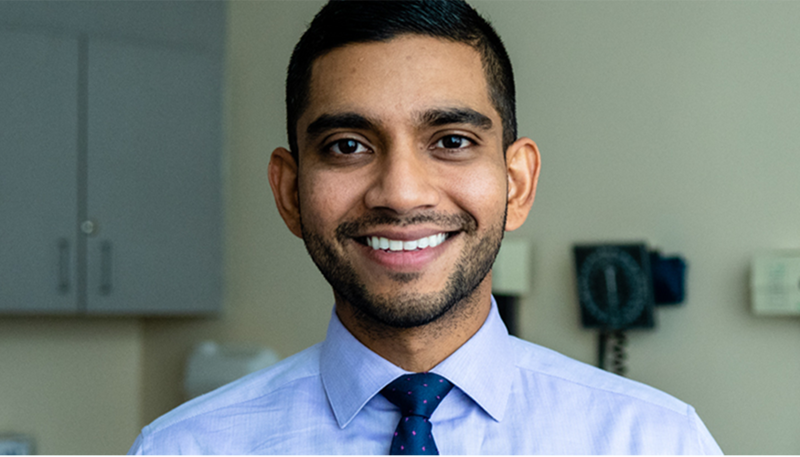 The George Washington University (GW) Cancer Center is pleased to announce that Vishal A. Patel MD, FAAD, FACMS, an accomplished Mohs/Dermatologic surgeon and cutaneous oncologist, has joined the GW Cancer Center. He will serve as the director of the recently established Cutaneous Oncology Program at the GW Cancer Center. The Cutaneous Oncology Program at the GW Cancer Center is bringing together dermatologists, dermatologic surgeons, medical, surgical, and radiation oncologists, and dermato-pathologists to provide comprehensive and personalized skin cancer care to patients. This program will also house the existing Supportive Onco-Dermatology and Cutaneous T-Cell Lymphoma multidisciplinary clinics. Patel received his medical degree at the David Geffen School of Medicine at the University of California, Los Angeles. He completed his residency at the Columbia University Medical Center in New York City, where he was selected as chief resident and subsequently went on to complete a fellowship in Mohs/dermatologic surgery and cutaneous oncology, focusing on complex skin cancers and surgical reconstruction. Prior to joining the GW Cancer Center, Patel led the Division of Dermatologic Surgery and directed the High Risk Skin Cancer Clinic at Columbia University in New York City. Patel’s clinical expertise and research interests include the medical and surgical management of high-risk skin cancers, including melanoma, squamous cell carcinomas, basal cell carcinoma, merkel cell carcinoma, sarcomas, and other rare skin cancers. He has a special interest in immunocompromised patients, specifically solid organ and bone marrow transplant recipients and patients with chronic leukemia/lymphoma. He has published several peer-reviewed manuscripts, book chapters, and lectured nationally on these topics. He has over a decade’s worth of experience in research and teaching and will continue his research on high-risk cutaneous squamous cell carcinoma. Patel is a member of the American Academy of Dermatology, the American College of Mohs Surgery, the American Society of Dermatologic Surgery, and the American Society of Clinical Oncology. Patel assumed his role in October 2018. The George Washington University (GW) Cancer Center is a collaboration of the George Washington University, the GW Hospital and the GW Medical Faculty Associates to expand GW’s efforts in the fight against cancer. The GW Cancer Center also incorporates all existing cancer-related activities at GW, with a vision to create a cancer-free world through groundbreaking research, innovative education and equitable care for all. Learn more about the GW Cancer Center at gwcancercenter.org.